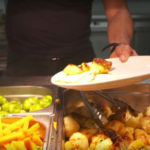 You will be in charge of the entire kitchen at one of our customer sites, taking control of everything from food orders and stock control through to managing staff, preparing new menus and producing new dishes. Aside from excellent cooking skills, to be a successful head chef you will need to lead by example. Strong communication skills, drive and self-motivation are essential, as is the ability to delegate tasks effectively. 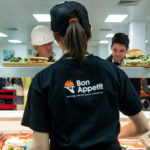 You will have previous experience in the catering or hospitality industry as a head chef.